August – the days of summer when you feel like you can fry an egg on the pavement! You know you have to eat, but the last thing you want to do is fire up the stove for another heat wave. Instead, let’s prepare some healthy and tasty eats that require minimal prep! Protein essentials: Canned Tuna/Salmon/Sardines, store prepared rotisserie chicken, tofu, tempeh, steamed shrimp, nuts, seeds, hard boiled eggs, canned beans, cheese and yogurt. Sensational Summer Salads: Create a variety of different salads using chopped lettuce and crunchy veggies. Add your protein from the list above and your meal is done. Simple Summer Sandwiches: Start with whole grain bread as your base, top with sliced avocado, rotisserie chicken breast, lettuce & cucumber for crunch. Add a side salad to boost your veggie intake. Cold pasta salad: Although you do have to cook the pasta, that’s a minimal cooking step. Toss cooled pasta with ripe tomatoes, red onion, diced carrots, snow peas, cucumber and tuna for a heartier meal. Combine all ingredients from barley to olives in a large bowl. 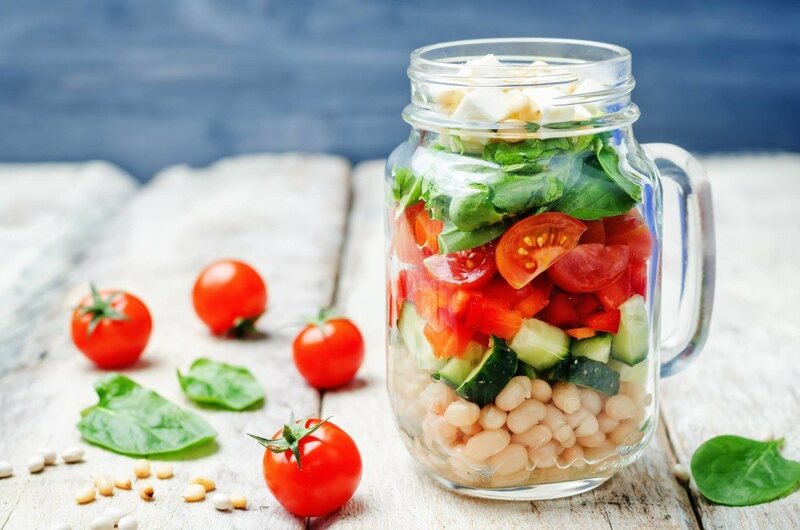 In a glass jar combine olive oil and lemon juice, shake to combine well and pour over barley salad ingredients. Season with salt and pepper to taste. Top with fresh basil, serve chilled.